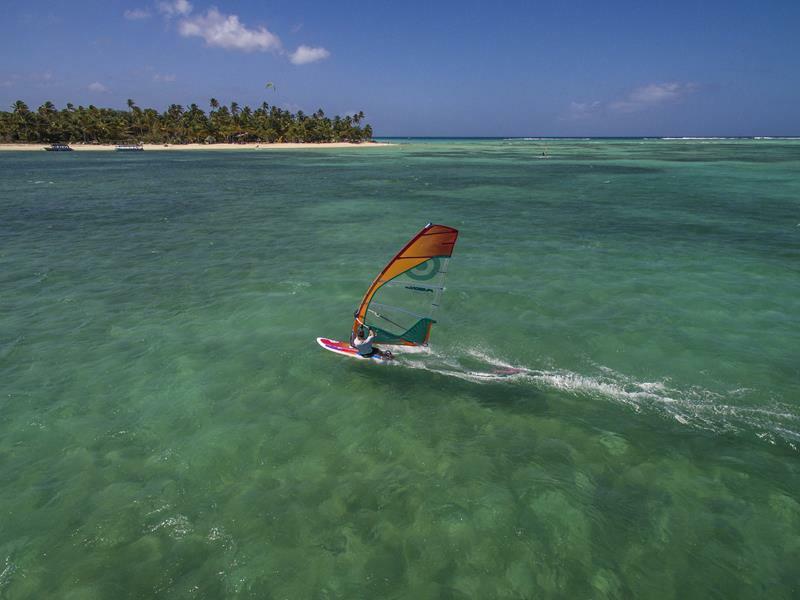 TOBAGO Caribbean windsurf and kitesurf holiday for great prices and one of our favourite and most popular Caribbean windsurf and kitesurf holiday destinations. *Travel dates 15 April - 15 June 2019. Price includes return flights from Manchester (other airports available at possible supplement), twin share standard accommodation and transfers. Subject to availability. Peak Half Term / Easter dates excluded. 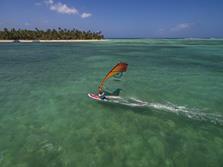 *Conditions apply for rental special offers - only bookable in conjunction with hotel package. 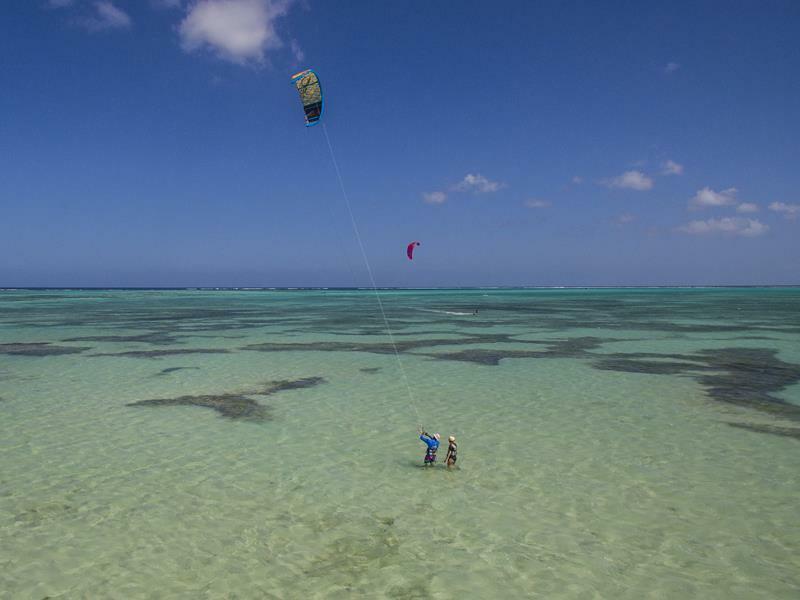 To rent kitesurf equipment you must be at least IKO Level 3 standard. 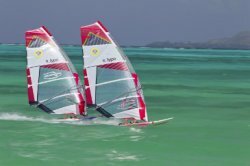 The windsurf centre in Tobago is based on the beautiful beach at Pigeon Point and is equipped with new Fanatic, Starboard and Mistral boards. 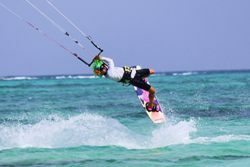 Instruction is available from taster and beginner courses, intermediate and advanced lessons. 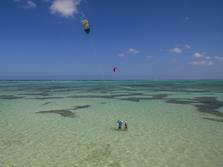 This is a small centre offering a personal service and the latest rental equipment set on an idyllic beach. 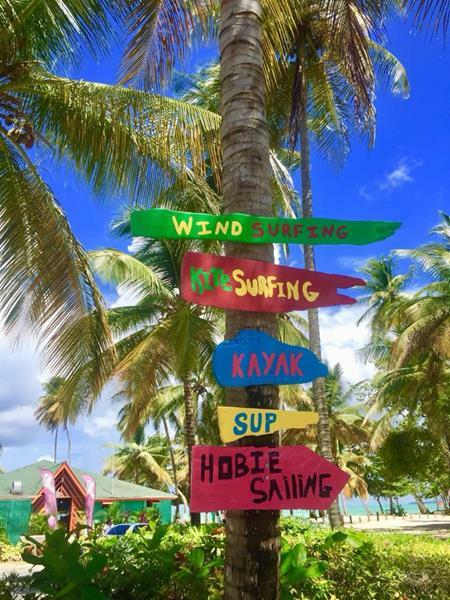 Shepherds Inn (formerly the Toucan Inn & Bonkers Bar) is a just 5 minute drive from the windsurfing and kitesurfing centre at Pidgeon Point. 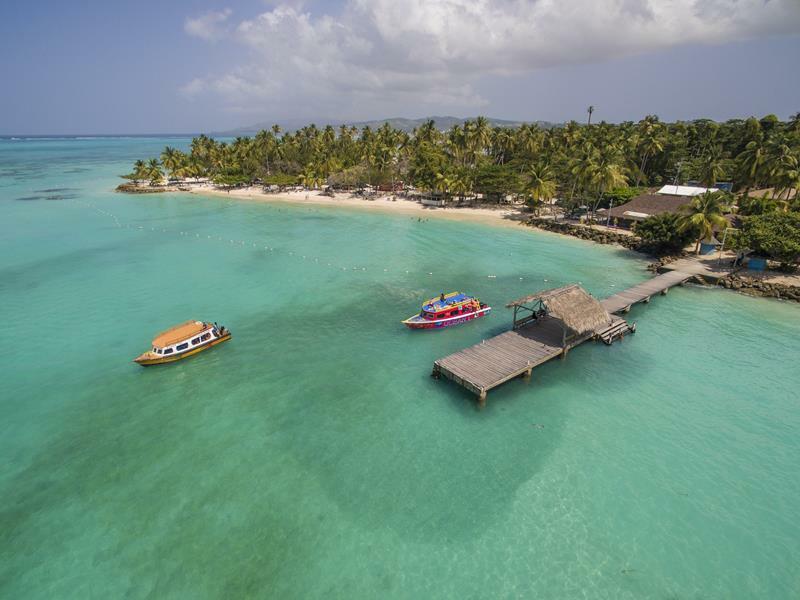 Enjoy the relaxed atmosphere with the private pool, cabana accommodation a short walk from the public beach. 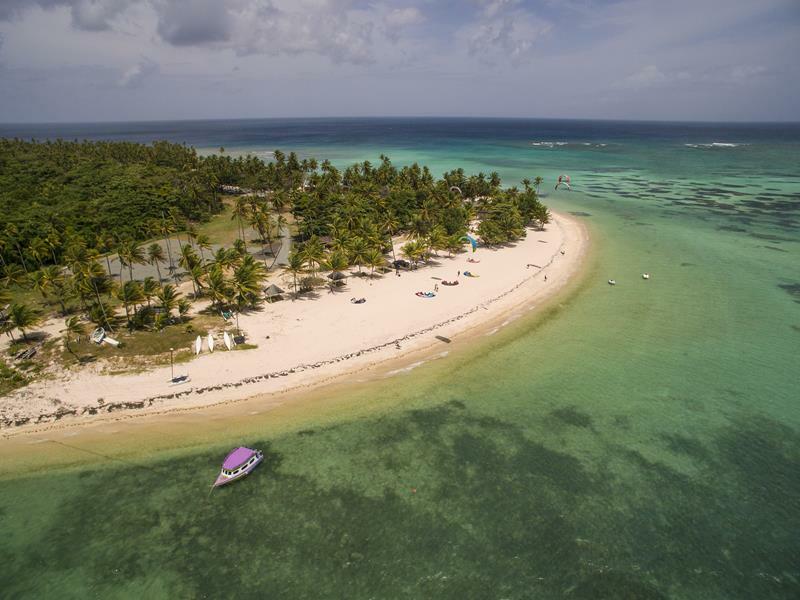 5 minutes from the airport, beach and a few shops, bars and restaurants. A privately owned, small lodge, located in the lively Crown Point area. 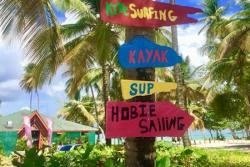 Scarborough, the island capital, is less than a 30 minute taxi with duty free downtown shopping area and local markets. The picturesque local beach at Store bay is just a short 5 minute walk away. There are ATM machines nearby. A small, privately owned and managed hotel with 20 teakwood, Caribbean style rooms. Each room has its own private en suite bathroom with hair-dryer, flat screen TV with cable, DD telephone, air-conditioning and in room safe. Garden 'Pasture' Rooms are away from the pool, set around the perimeter of the garden, slightly larger and have either double or twin beds. A cot or small bed suitable for a young child up to 12 years of age can be provided on request, in advance, in some rooms. Pool 'Pond' Rooms are located in four charming, octagonal, split unit cabanas set around the perimeter of the pool and nearer to the restaurant. Each cabana has two pond rooms, with separate entrances and one double bed. All enjoy access to the private garden area with tropical planting. The hotel has a restaurant with feature bar area, including courtesy breakfast. The team at Shepherds Inn pride itself on its friendly service, comfortable atmosphere with live entertainment during peak times. Children 0-12 years of age stay for free and Children 0-5 years of age eat for free. Free WiFi is available. 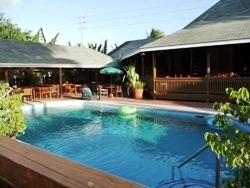 A small friendly and unique property, ideal for groups conveniently situated near the lively Store bay and beach area.